How to check online reservation status – Coubic Inc. If you have Coubic account, you can view your reservation status on your dashboard page once you login. 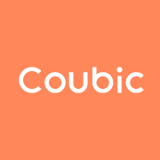 Unless you have Coubic account, you will be notified about your reservation via email by the service providers.